Food is a huge part of any culture, and specific foods always go through waves of popularity. Mangos had a big moment in the late 90’s and acai bowls made waves in 2016. But the stories of these foods and how they become mainstream is fascinating. Take, for instance, the almighty avocado. A once unknown ingredient is now a staple in dishes across America. But this wasn’t by accident. In honor of National Guacamole Day, the avocado deserves a moment to share how this powerful green fruit came to be. It may seem strange now, but there was a time when your neighbors and friends wouldn’t have known what an avocado was. Why? They weren’t always quite as popular in the United States as they are today. Also, they also weren’t always called avocados – that’s actually a relatively new name. The real story is that the word “avocado” took quite a bit of marketing for people to see this fruit for what it really was. Back in the early 1900s, California farmers realized they had a problem. The two suggested names for the fruit weren’t ideal. One, “Ahuacate”, the Spanish name (which has Aztec origins), was hard for people to pronounce. Two, “Alligator Pear”, inspired by the bumpy, olive skin, was half-unappealing and half-misleading. So in 1915, a group of farmers gathered and decided to come up with a new name: the avocado. Hence, the name avocado was born. Then, in the 1980s, the U.S. dietary guidelines pushed people into a low-fat diet trend. This trend dragged into the late 90s and dealt a huge financial blow to the avocado industry. Although the industry did their best to fund research, run TV ads, and support the health benefits of the fruit, they still struggled to boost sales. It’s important to know that all this time between the early 1900s and the 1990s, avocado producers never educated the public about how to eat an avocado. They also never promoted it in the context of Latin American cuisine. So for nearly 90 years, people had no understanding of of what an Avocado was or what to do with it. As demographics began to change, many Latin dishes that rose in popularity helped bring avocados into the mainstream. Finally, in the 1990s, the California Avocado Commission hired the public relations firm Hill and Knowlton. The firm introduced a mascot for the fruit called “Mr. Ripe Guy” to rebrand, promote and educate the public about avocados. And then, the real magic started to happen. Hill and Knowlton found a way to embed the avocado into the Super Bowl. As many know, the Super Bowl has become more than just a sporting event – it is a spectacle filled with Americans who over-indulge in all types of food. This was the exact audience to market to, and the timing to advertise was perfect because January was the prime time when avocado crops would ripen. Thus, they pitched the “Guacamole Bowl” idea, getting popular NFL players to share their favorite recipes to a wide audience, sharing test samples of guacamole to players, fans, and reporters. It worked. Most people may not have given a guac before, but now they did. The now viral story of avocados was in everyone’s minds – and mouths. 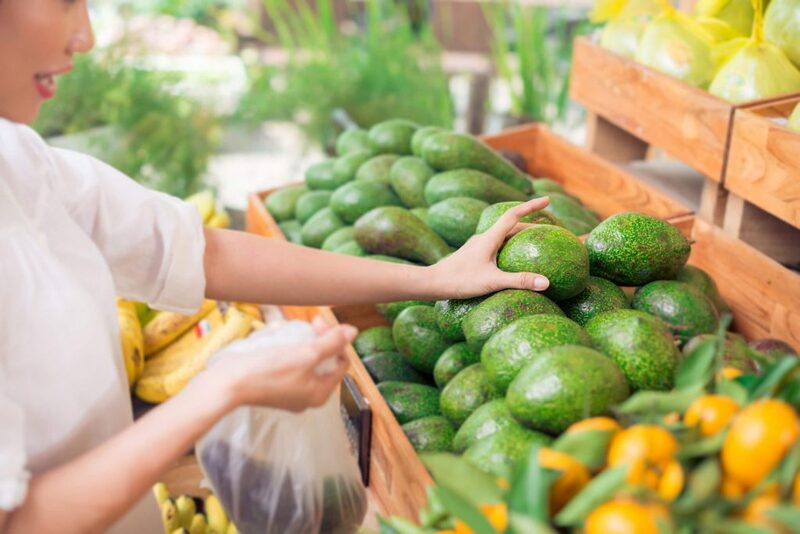 Through clever marketing, avocado sales increased and its crop value spiked by nearly 70%. Once an odd and obscure fruit, today you would now be hard-pressed to find someone who didn’t know what an avocado was. For instance, this past Super Bowl Sunday alone, Americans ate 105 million pounds of avocados. Foods will continue to trend every year because of the fascination we have with uniqueness and originality, and the desire companies and restaurants have to be on the look for the next big thing. If you want to bring something to light and change the way people consider an idea – such as an avocado – you need to present it in a new way. Avocados were always a great thing, but it just took some marketing to get the rest of the United States to see it. So as you celebrate National Guacamole Day tomorrow, embrace the story of this green fruit. Something that people once had no idea how to eat is now a staple fruit in America. The ability to change an opinion about anything – even an avocado – is completely possible through the power of a great story.